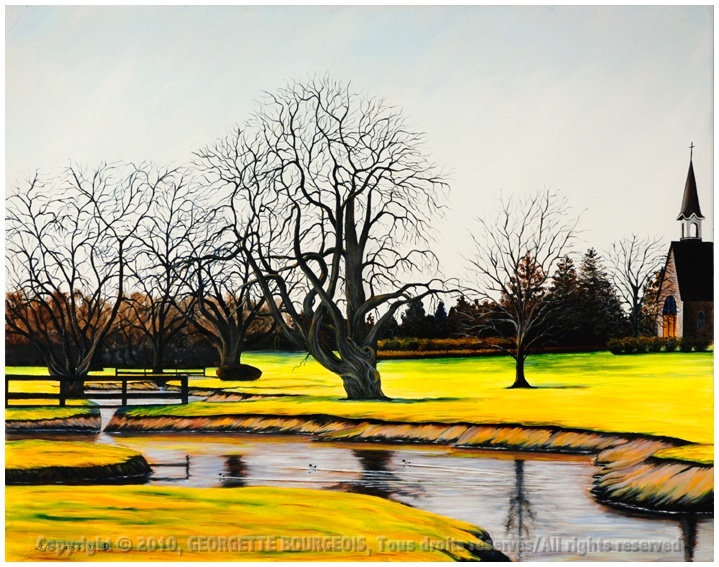 Georgette Bourgeois was born and grew up in downtown Moncton, New Brunswick, Canada. Her father, Thomas Bourgeois, was a professional photographer. Her mother, Anna (Bourque) Bourgeois, was a visual artist as well as a pianist. Both of them gave her a passion for the arts; her mother was her first teacher. Georgette’s maternal grand-parents, with whom the family lived helped her understand the collective past of Acadia. Their social involvement has had a substantial influence on the subject matter Bourgeois chooses to paint. Georgette taught French, French Immersion and Visual Arts in New Brunswick schools. She has a Bachelor of Elementary Education and a Bachelor of Education with majors in Visual Arts from the Université de Moncton. She completed Fine Art courses at the University of New Brunswick, in Saint John and at the University of Mount Allison in Sackville, New Brunswick. With over fifty solo exhibitions to her credit, Georgette has had exhibitions in Louisiana, in the United States, in France and in Canada. In 2007, she was the first artist in residence at the Grand-Pré National Historic Park in Nova Scotia, Canada. 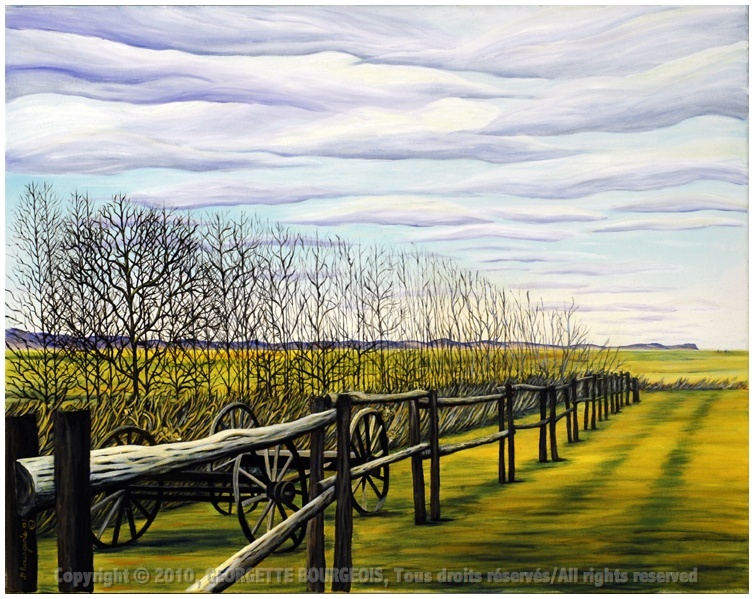 She created a series of nine paintings entitled L’ESPRIT DE GRAND-PRÉ. In 2011, the collection travelled to the University of Louisiana in LaFayette, USA for the GRAND RÉVEIL ACADIEN 2011. This series is owned by La Société promotion Grand-Pré. 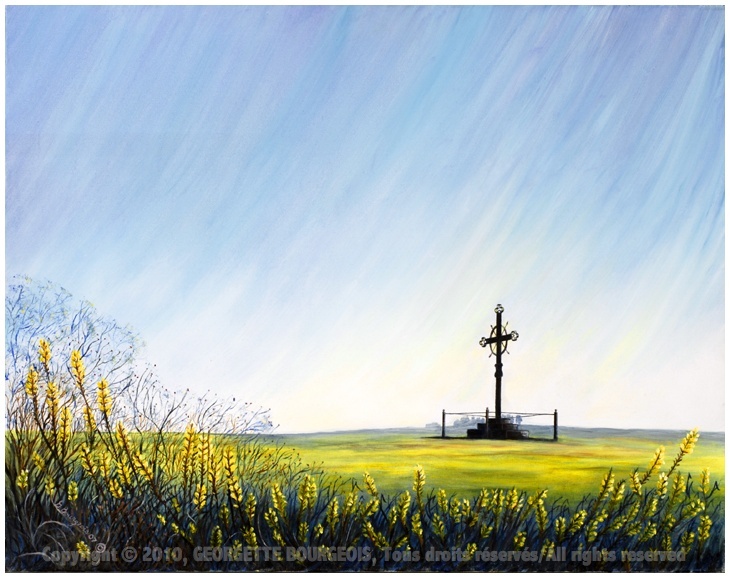 In 2012, Georgette created and had on exhibition a collection of eight paintings entitled RENAISSANCE on the occasion of the 35th anniversary of the Village Historique Acadien in Caraquet, New Brunswick, Canada. The collection is owned by the Village Historique Acadien. She has received a number of grants from the New Brunswick Arts Board. 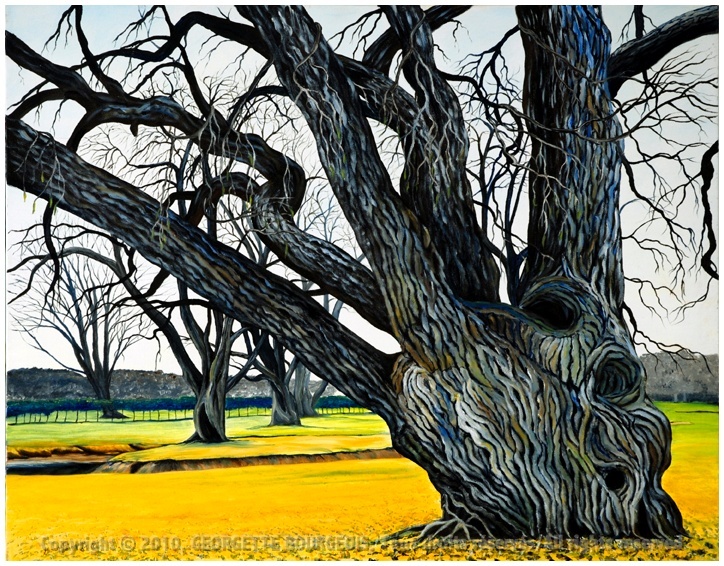 In 2008, she was nominated for the Éloize prize in Visual Arts given by the Association acadienne des artistes professionnel.le.s du Nouveau-Brunswick. 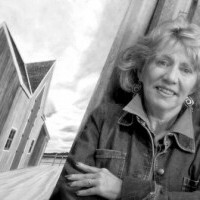 Georgette Bourgeois’ work reflects her interest for the history and evolution of Acadia. The themes she chooses evoke Acadia, from its beginning, before and after the Deportation of 1755, to the contemporary Acadia which, because of its history, has become international. 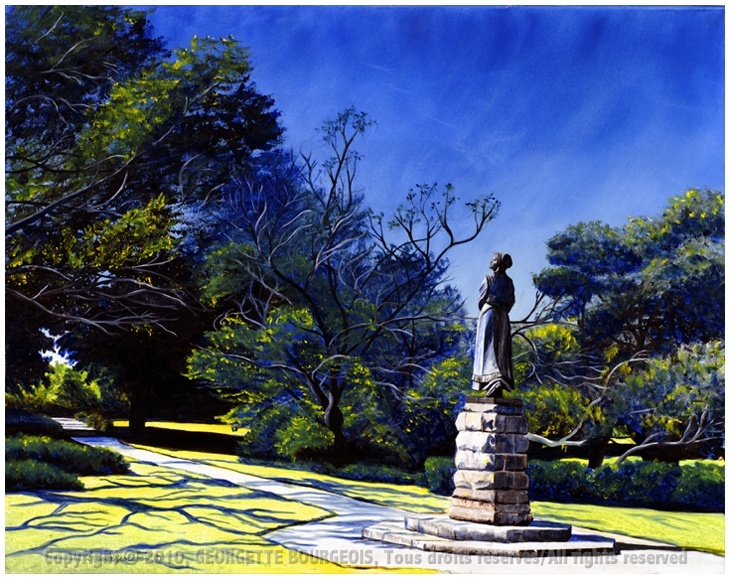 Georgette works mainly with oils in a figurative style. Her types of representation are mainly the landscapes of the pre-Deportation Acadia, to the seascapes where the Acadians settled after 1755, as well as the magnificent houses and buildings built during the Acadian Renaissance of the early 1900’s. 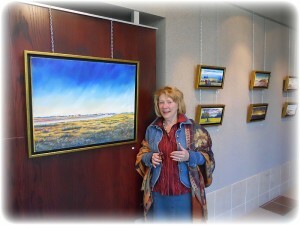 The Petitcodiac River and the Moncton area also inspire her artistic creation. 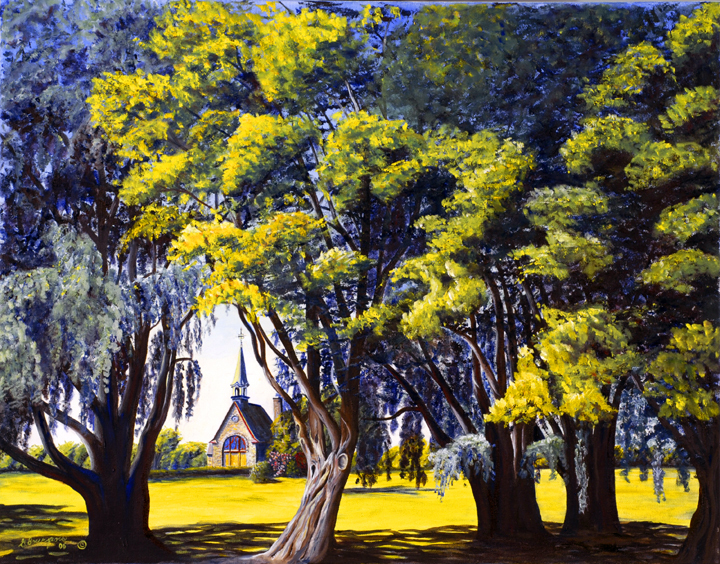 In the same painting, one can see, in the foreground, dykes built by the Acadians during the 1600’s, and in the background, Moncton’s modern skyscrapers. 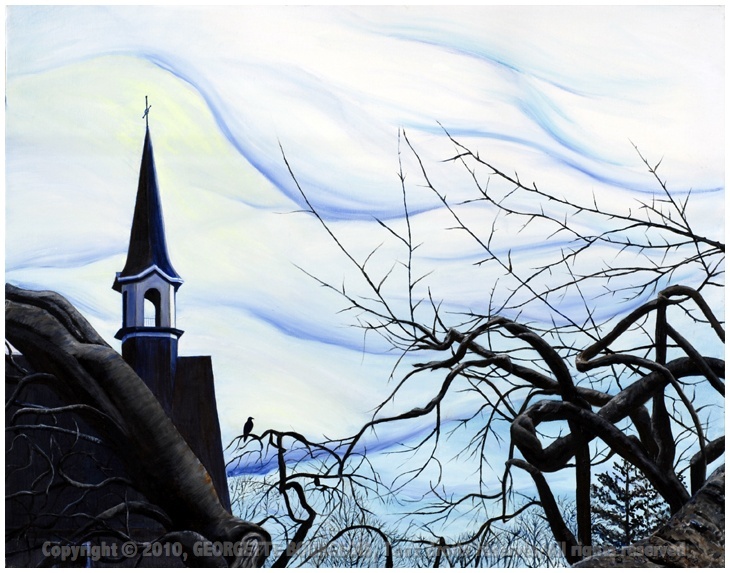 The Moncton area, where the artist resides, also greatly influences her artistic creation, having become the center of contemporary Acadia. 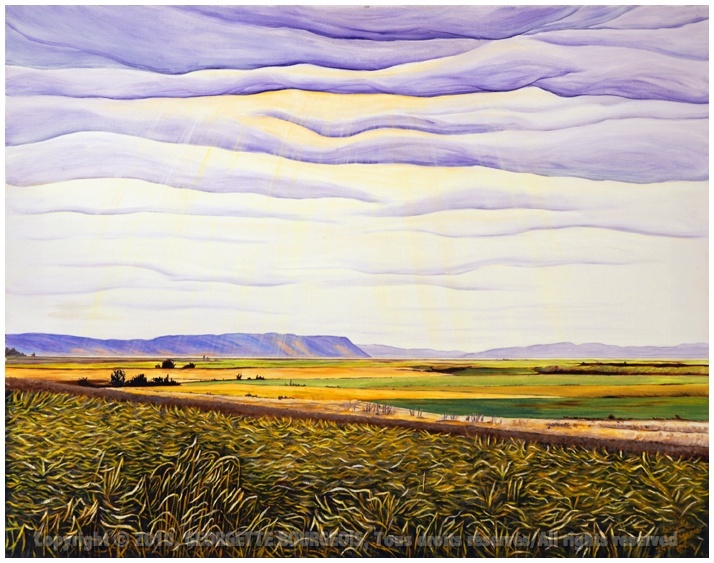 With her choice of blues, yellows and reds and the effects of light in her canvases, Georgette Bourgeois wants to reflect the radiance, the strength and the vitality of the Acadian people. 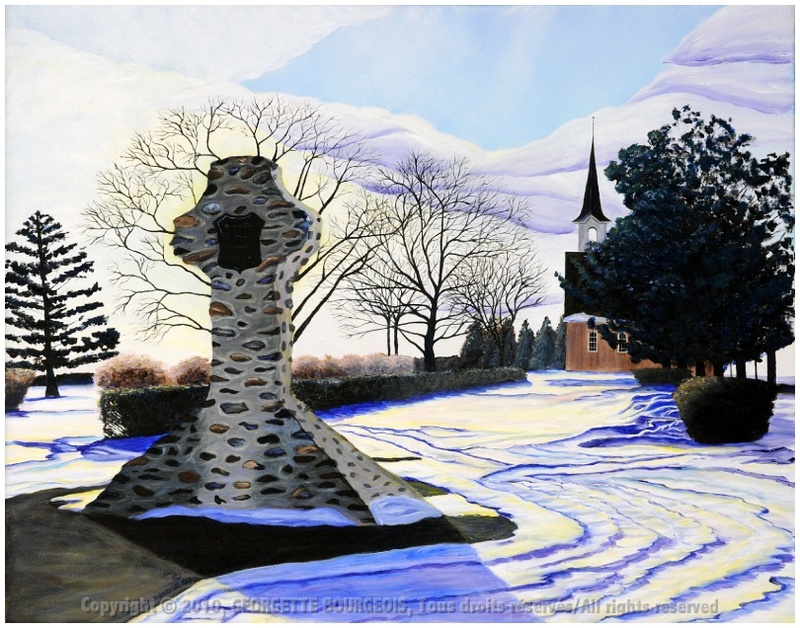 By inventing, painting and representing the buildings of the Acadian Renaissance, with perspectives of grandeur as well as complementary colours and strong contrasts in the shadows and light, she reflects the strength of this era for the Acadian people. The artist has created collections that represent Acadia, from its past to the contemporary era. Within these series, each painting is created in relationship with the other pieces of the collection, which means that the paintings in these collections cannot be separated.